Making sloe gin is slow but not laborious. There’s no cooking required, just patience, as the sloes must steep in the gin. Traditionally, you should prick the skin of the sloes with a silver needle after waiting for the first frost of the year to pick the sloes. Alternatively, pick them as soon as they are ripe and put them in a bag in the freezer, this will split the skins and soften the fruit. 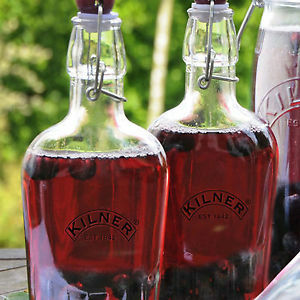 Pour the sloes and sugar into a sterilised jar or a bottle and add the gin, seal tightly and shake well. Store in a cool, dark cupboard and shake every other day for a week. Then shake once a week for at least two months, or as long as you can keep your hands off it. If you are not a gin fan, this recipe works equally well with vodka.